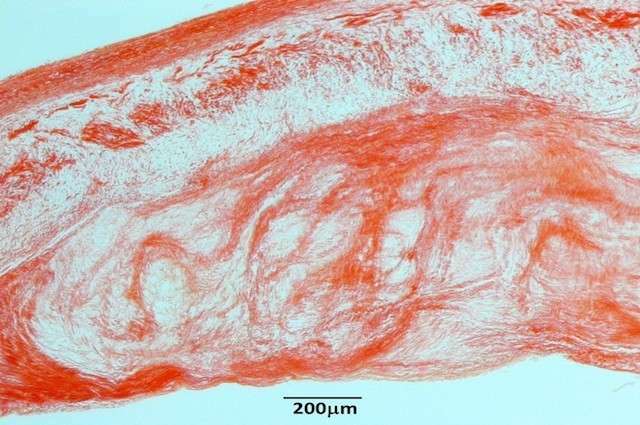 Researchers at Cummings School of Veterinary Medicine at Tufts University have discovered important biomarkers in extracellular vesicles in dogs with myxomatous mitral valve disease and congestive heart failure. This is the first biomarker discovery based on extracellular vesicles in a veterinary disease. The genomic material (microRNA, or miRNA) were isolated in small extracellular vesicles called exosome, which circulate in blood. These findings could provide important insight into the molecular basis, diagnosis and therapies for myxomatous mitral valve disease in dogs, as well as mitral valve prolapse, a similar disease in humans. The results appear online this week in the Journal of Extracellular Vesicles. We are focusing on Biomarkers for Diseases only but not on those needed for Resilient Survival Features. Why Not Transfer Tardigrade Genes To Hotspring Dwellers and Vice Versa? Surviving Until The END: Water Bears (Microscopic) shrug off -272° C, only 1° Warmer than Absolute Zero Temp; Some sp. endure Space's Vacuum & powerful Radiation ! They can forgo food/water consumption for 30 years.